Are CPAP Masks Safe To Use? How Long Can I Use My CPAP Mask? Do I Need To Visit My Doctor Before Buying A CPAP Mask? Sleep disorders can become one of the most disruptive elements in your life. When the ability to rest easy is taken away from you, you cannot but struggle in a variety of different ways. One of the most common sleep disorders in the world is a condition called sleep apnea. Sleep apnea essentially causes you to snore, toss-and-turn, and even stop breathing while you sleep. The consequences of these symptoms can be severe: mood swings, depression, and chronic fatigue. If you struggle with sleep apnea, then you likely need a solution to your problem - and that means you need a quality CPAP mask. When looking for the best CPAP masks, you have to understand what you are trying to find. CPAP masks are innovative pieces of technology that have been developed and designed by practitioners of sleep medicine around the world. In this guide, we will unveil the best CPAP masks of 2019 and walk you through everything you need to know about them to put your sleep apnea behind you. With DreamWear Full Face CPAP Mask, you are getting a product that allows for ultimate freedom of movement while you sleep. A wide field of view and a specialized cushion make this one of the most comfortable CPAP masks available. The building materials are solid and the mask is durable. When looking for a nasal CPAP mask, comfort needs to be a priority. 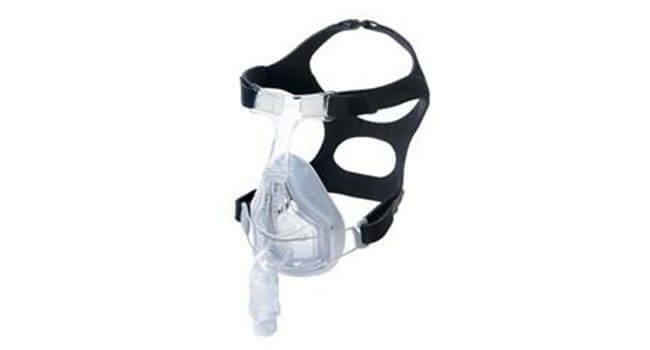 Optilife Nasal CPAP Mask comes with full headgear and comfortable straps for ease of movement. This mask addresses your sleep apnea in a comfortable way without making you change your sleeping habits. This under-the-nose CPAP mask helps you fight off your sleep apnea without irritating the bulk of your face. Lightweight and easy to wear, Amara View Full Face CPAP Mask is among the best in the industry. This mask is easy to size and even easier to maintain, making it a solid sleep apnea solution. 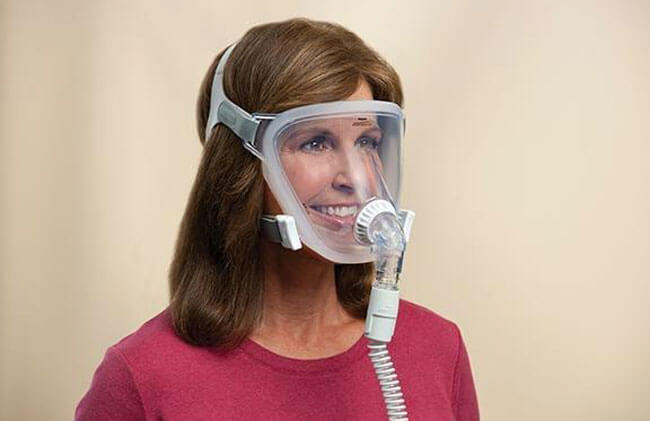 When you wear a full face CPAP mask, you want something that gives you comfort and relief. Fisher & Paykel Forma Full Face CPAP Mask blends a tight-fitting and comfortable mask with a flexible and durable silicone headgear unit. Easy to fit, easy to wear. Nasal CPAP masks come in all shapes and sizes and the Wisp Fabric Frame Nasal CPAP Mask is among the smallest and most compact. Easy to wear and even easier to fit, this CPAP mask by Philips Respironics provides comfort with minimal contact on your face. This unique CPAP mask works in a hybrid fashion to address your sleep apnea issues with both an oral and a nasal interface. By accomplishing this task, Devilbiss Hybrid Dual Airway CPAP Interface System manages to bring you ultimate comfort. Most CPAP masks are built out of extensive, rigid plastic. With SleepWeaver Anew Full Face CPAP Mask, you are getting a mask that is made out of cloth with comfort as a primary focus. Breathable cloth and a flexible fitting system make this a great CPAP mask. 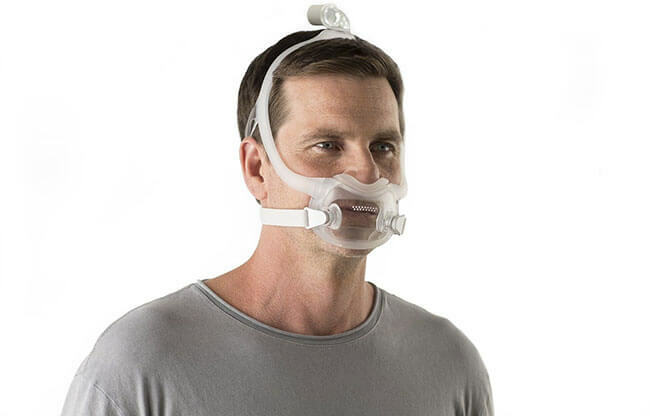 While this mask looks like something from a science fiction film, FitLife Total Face CPAP Mask is a real, vision-enhancing CPAP mask for sleep apnea. The wide field of view offers full-vision while minimizing pressure on your skin. 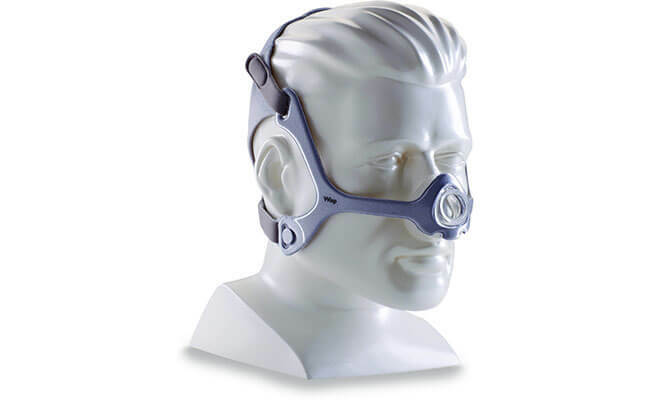 When you look for a full face CPAP mask, you are going to want something that is stable and comfortable. Made with soft silicone and enhanced by specialized headgear, your Full Face ComfortFit Deluxe CPAP Mask will have you fighting sleep apnea while resting easy. Full face CPAP masks are designed to provide maximum comfort while minimizing the effects of claustrophobia. With Drive ComfortFit Deluxe Full Face CPAP Mask, you'll be able to offset your sleep apnea with a wearable and comfortable mask. Sleep apnea is an incredibly common sleep disorder that impacts millions of people throughout the country and the rest of the world. The core mechanics of the disorder include your upper airway becoming blocked while you sleep. When your airway becomes blocked, whether partly or completely, you end up with a variety of different symptoms as a result. If the bulk of these symptoms apply to you, then you need to consult with a healthcare provider. Sleep apnea can only be self-diagnosed to a certain degree and you’ll need a medical professional to help you finish off the process. You’ll likely be brought in for a sleep study, which can identify how often you slow down or stop your breathing as well as measure the oxygen levels in your blood. While sleep apnea sounds scary – and it can be when you first start to fight with it – you should be able to rest easy knowing that there are many treatment options available to you! Treatment options range from medication use and lifestyle changes all the way to products that you take to your home, called CPAP machines. These machines are designed to feed continuous positive air pressure (CPAP) into your mouth or nose while you sleep, thus preventing the problematic side of your sleep apnea from ever manifesting itself. Our discussion today will largely center on CPAP machines and their corresponding CPAP masks. As you’ll soon find out, this route of treatment can be a true life changer. Are you ready to learn more? Let’s continue. If you struggle with sleep apnea, then you are no doubt already at least slightly familiar with CPAP masks and CPAP machines. What you may not be aware of, however, is how these machines function in their quest to improve the quality of your life. Let’s break them down in order for you to understand them. CPAP Machines – A CPAP machine is a continuous positive airway pressure device that seeks to introduce a change into your breathing habits while you sleep. These machines, which are considered ideal for treating obstructive sleep apnea, are basically just small boxes that you set next to your bed at night. Each CPAP machine features a motor, which pumps air pressure into your mask. CPAP Masks – CPAP masks are used in conjunction with your CPAP machine. CPAP masks work on the receiving end of the air hose between the machine and your mouth/nasal cavity. CPAP masks come in a variety of different shapes and sizes in order to help you tailor your sleep apnea treatment to your own personal preferences. As with all things pertaining to technology, you are going to have choices when you go about selecting your CPAP mask. In this section of our guide, we are going to outline the most popular types of CPAP masks currently on the market. Nasal CPAP Mask – This mask covers your nose, typically from the bridge of your nose to your upper lip. Connected to your CPAP machine, airflow is sent to you in an indirect way. Ideal for chronic movers and people who need high air pressure. Nasal Pillow – Compact and lightweight, ideal for people just starting with a CPAP mask. Useful for people who struggle with mild sleep apnea. Full Face CPAP Mask – These masks cover both your nose and your mouth while typically covering a portion of your face as well. They are effective for people who breathe through their mouth, struggle to breathe through their nose or need a higher pressure setting. With more than 22 million Americans struggling with sleep apnea, there are many affordable and effective solutions to sleep apnea, the most prominent ones being CPAP masks. With that being said, safety is paramount in treating any sort of disorder. So that leads us to the following question: are CPAP masks safe for use? The answer is yes. CPAP masks are not going to cause you any real harm. However, some users may experience a few side effects. These side effects are rare and minor but should still be mentioned. Skin Irritation – This side effect can stem from chronic use, poor fitting or allergies to mask materials. Dry Mouth – Some users wake up with a dry mouth due to breathing through their mouth all night. You can get a CPAP machine with a heated humidifier in order to negate this problem. Congestion – Runny nose, sneezing, and congestion are a few minor side effects to be aware of. Stomach Discomfort – Finally, if your pressure settings are too high, you may end up feeling some sort of stomach discomfort. Talk with your sleep specialist in order to find the proper setting for your needs. As you can see, the side effects that we highlighted are largely minor and almost completely superficial. Still, being aware of potential side effects will help you to stay calm and comfortable while you treat your apnea. It won’t surprise you to find out, but CPAP masks come in all shapes and sizes so you can adjust them to fit your face perfectly. As we stressed several times throughout our discussion, having a properly fitted CPAP mask is integral for the product to work as designed. Depending on the type of mask that you use, there will be various steps that you need to follow. Traditionally, fitting your CPAP mask involves taking careful measurements of your nose and chin. Additionally, there are some masks that come ‘universally sized,’ which means that they should work right outside of the box. As with any product that you use on a nightly basis, you are going to need to get into the habit of practicing routine CPAP mask maintenance. Your CPAP mask is meant to be used every single night so you need to pay careful attention in order to follow the proper hygienic steps. The vast majority of CPAP masks are made out of plastic and, as such, they should be cleaned after every use with warm water and a mild soap. After scrubbing your entire mask, you should allow the mask to sit out and air-dry before using it again. When you clean your mask, pay close attention to potential cracks or discolorations in the material. You should also get into the habit of cleaning out all of your CPAP tubing on a weekly basis with warm, soapy water. Your CPAP machine will require more thorough cleaning, but that is a discussion for a different day. While your CPAP machine may end up lasting for anywhere from two to five years, you will need to replace your CPAP mask more often than that. There is no hard and fast rule for when you should acquire a new CPAP mask, but the general opinion of the industry seems to be that replacing your CPAP mask on a yearly basis sounds about right. You’ll want to get into the habit of replacing your cushions and headgear more frequently, perhaps twice a year, due to how the cloth starts to absorb the oil and cells from your skin on a near-constant basis. We’ll make this nice and simple: yes. In order to receive your own CPAP mask and machine, you need to have a prescription from your doctor. CPAP devices are considered to be Class II Medical Devices and all devices within that category require a prescription. In order to get a prescription, consult with your medical provider. As we approach the end of our guide, you are almost ready to pick a CPAP mask that can help you with your sleep apnea. The only question is this: how do you pick? Do I breathe through my nose or mouth when I sleep? Do I roll around and fidget in my sleep? How important is freedom of movement around bedtime? Can I handle having a bulky device on my face? Once you answer these questions, move on to the reviews of our best CPAP masks below. We picked masks that are perfect for nose breathers and mouth breathers. We outlined masks that are ideal for people who fidget in their sleep. We even selected a few masks for people who can’t handle having bulky equipment on their face at night. In the constant battle to do away with the problematic side effects of sleep apnea, people are always looking for something that provides them with new hope. Royal Philips has been the designer of some of the best CPAP masks on the market and their newest product DreamWear Full Face CPAP Mask is one of their best products so far. As an expansion of the Dream Family line of CPAP products, DreamWear Full Face CPAP Mask blends comfort and functionality into an affordable package. DreamWear Full Face CPAP Mask is a full face CPAP mask that is designed for people who primarily breathe through their mouths. Built with a full face cushion, this mask is easy to wear throughout the night. Additionally, functionality is on prime display as the new location of the hose (top of the head) allows users to wear the mask and sleep in whatever position feels most comfortable to them. Finally, one of the best aspects of DreamWear Full Face CPAP Mask is the fact that it offers you an almost unrivaled field of vision. The mask leaves the bulk of your face uncovered, despite being a full face mask. This gives you the freedom to enjoy the time before you fall asleep with a clear field view of the world around you, meaning you can read, watch TV or use your computer before you fall asleep. Blending comfort and usability, this mask is hard to beat. When you begin looking for a CPAP mask, you are going to run into a variety of different options for a variety of different problems. People who are interested in nasal CPAP masks are on the lookout for a product that is easy to wear while still remaining effective. With Optilife Nasal CPAP Mask, you are getting a product that can be tailor-fit for the style of sleep that you enjoy and the nightly routines that you are so used to. The highlights of Optilife Nasal CPAP Mask include many different features. Starting off, this nasal pillow CPAP mask does not obstruct your eyes at all, meaning you get to keep a clear view of the world around you. Additionally, Optilife Nasal CPAP Mask is one of the most customizable nasal CPAP masks on our list. With four different cushion sizes available, you are going to get something that fits you no matter what. Adding on to the concept of comfort, there is chin support built into the product along with functional and comfortable headgear. OptiLife is all about optimizing your own life and you cannot do that if your sleep apnea keeps you perpetually uncomfortable. Optilife Nasal CPAP Mask is ideal for side-sleepers as well as people who wear glasses. This is a secured nasal CPAP mask that won’t typically come loose during a normal night’s rest. If that sounds like something more your style, Optilife Nasal CPAP may be just perfect for you. When shopping for a full face CPAP mask, you are likely going to become familiar with the work done by Philips Respironics. Amara View Full Face CPAP Mask is a full face CPAP mask that was designed in order to focus on comfort and functionality while also improving the problematic effects of sleep apnea. The first thing you’ll notice about this CPAP mask is that the actual footprint of its body is tiny. This is one of the smallest full face masks on the market and it is definitely among the lightest. Additionally, this small and lightweight design allows you to benefit from an unrivaled and wide field of vision. Simply put: Amara View Full Face CPAP Mask is flexible in ways that other CPAP masks just aren’t. The open design of your Amara View Full Face CPAP Mask will allow you to wear glasses, read or watch television before bed. The lack of a large cushion or a modular frame also serves to minimize the footprint of the device on your face. 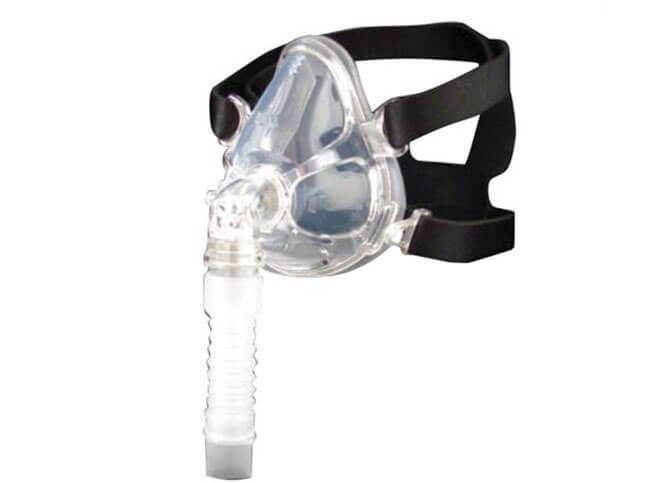 With so few parts involved in the production and usage of this CPAP mask, you also have low overhead in terms of taking care of the product itself. While priced a little high, this is truly a premium mask for a sleep apnea problem that needs to go away. Finding the right full face CPAP mask can be one of the toughest routes to take for treating your sleep apnea. Finding the best CPAP masks in the full face style is even harder! With Fisher & Paykel Forma Full Face CPAP Mask, you are, fortunately, getting one of the better options available in the industry. This full face CPAP mask offers a wide variety of different benefits that will immediately go toward improving the quality of your sleep in your battle against sleep apnea. When dealing with CPAP masks, you have to focus on comfort above all. This mask is designed with a contouring cushion known as FlexiFoam, which allows the mask to engineer itself for your face. Soft and lightweight, the FlexiFoam is a big difference-maker if you are picky about your full face mask choices. Additionally, this mask focuses on an under-the-chin design, which provides additional comfort during your rest. While comfort is one of our top priorities, functionality is also important. This mask sports a special air diffuser which will prevent you from creating excess noise or pushing air into your sleeping partner. Adding on to the air diffuser is the special frosted silicone seal, which works to keep your seal completely tight and non-leaking. As one of the higher-end CPAP masks on the market, we advocate for Fisher & Paykel Forma Full Face CPAP Mask as a full face sleep apnea solution. While the design is bulkier than we’d like, it is quite effective. Nasal CPAP masks are notoriously hard to pin down because they come in so many different sizes and styles. However, with your Wisp Fabric Frame Nasal CPAP Mask, you are setting yourself up for long-term success. Why is this the case? Well, Wisp Fabric Frame Nasal CPAP Mask does something different than most other nasal masks. When you first set your eyes on your Wisp Fabric Frame Nasal CPAP Mask, you almost have to wonder if all of the parts are there. This low-impact, lightweight nasal CPAP mask can barely be felt when it is being worn. This is highlighted by the different ways that the team of developers behind the mask fought to highlight comfort. This is a soft mask that is easy to adjust in order to customize to your own face. Without proper customization, your mask won’t work correctly – so make sure to take some time in order to follow all of the customization steps. With that done, you can enjoy the open field of vision and the soft, compact design. There are no clunky cushions and no need for a forehead pad in order to make the entire product clunky. If you want something that is light, easy to wear, and easy to maintain, you have stumbled across the product for you. As you roll through the different options on our list of the best CPAP masks, you are going to come upon something new here. Devilbiss Hybrid Dual Airway CPAP Interface System is way more than just a CPAP mask, it is a hybrid system that seeks to attack your problems with sleep apnea from multiple directions. By combining an oral and nasal interface, Devilbiss Hybrid Dual Airway CPAP Interface System seeks to do what some other mask cannot do. While the hybrid system definitely steals the show, there is more to learn about this special mask. The first thing that you need to know about Devilbiss Hybrid Dual Airway CPAP Interface System is that it is a truly hybrid mask. What does this mean? It means that Devilbiss works by targeting both your oral and nasal cavities while you sleep by way of your CPAP machine. 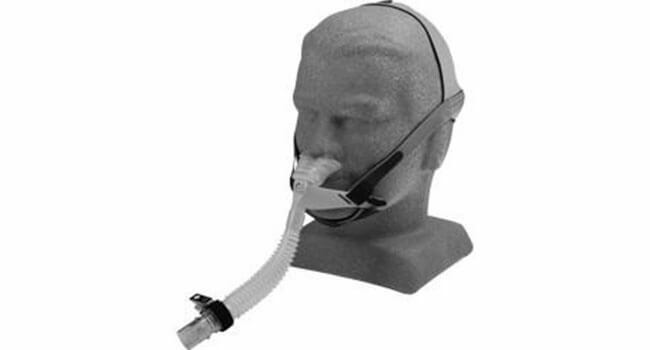 With this dual-airway design, you are able to completely address your sleep apnea problem. Although the mask is slightly bulky, particularly due to the lower-face air hose, it has been regarded as extremely comfortable by users. The universal design means you don’t have to custom fit every inch of the product and the built-in chinstrap means you don’t have to struggle to get a good position when you go to sleep. Devilbiss Hybrid Dual Airway CPAP Interface System is one of the more expensive options on our list of the best CPAP masks, but it definitely earns the spot. As you search through our list of the best CPAP masks available in 2018, you are no doubt going to be drawn to SleepWeaver Anew Full Face CPAP Mask. Why? Well, it’s simple. SleepWeaver Anew Full Face CPAP Mask is a striking CPAP mask that seeks to fundamentally change the core construct of your typical CPAP mask. The majority of full face CPAP masks are made of rigid plastic. This, however, is not the case with SleepWeaver Anew Full Face CPAP Mask as this CPAP mask is made with a special all-cloth design with non-allergenic and breathable materials. What does this mean? Well, for one it means that the actual cloth is likely to be more comfortable than any old plastic or silicone options that you’d likely otherwise be trying. Past that, the breathable cloth design means that you are also going to be able to maintain the mask for a longer period of time. 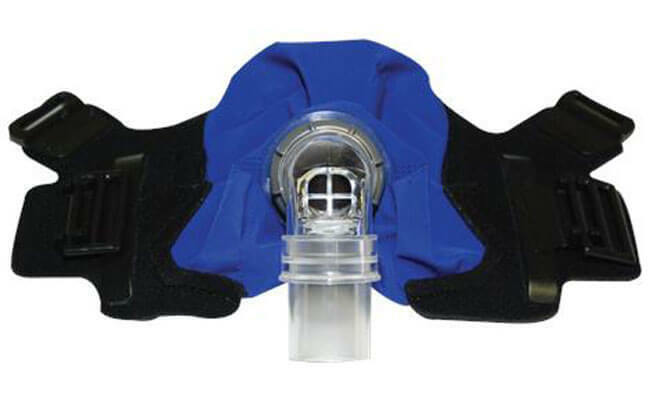 This mask is designed with a flexible valve leading to the air connector. The bottom-facing connector hose will allow you to move around in your sleep without fear of potentially dislodging the mask during the night. Additionally, the customizable straps on the mask mean that you will be able to stretch or constrict the mask in order to maximize the effectiveness of the seal. Full face CPAP masks are cherished by people who struggle with sleep apnea because they provide a host of tangible benefits: comfort, effective seals, and actual impact on the disorder itself. With that being said, some full face CPAP masks struggle to not feel ‘bulky.’ Fortunately, we can introduce you to FitLife Total Face CPAP Mask. FitLife Total Face CPAP Mask is a flexible, effective, and extremely smooth full face CPAP mask that minimizes issues found in other full face designs. When you look at FitLife Total Face CPAP Mask, the first thing you’ll notice is the massive viewing window. This full face mask covers up your entire face. However, instead of clogging up your viewing area with fittings and bars, the mask leaves it wide open. The reason this is possible is due to the fact that the hose connector feeds into the mask rather than feeding directly into your oral or nasal cavity. If you are a claustrophobic person, this is the perfect mask for you. While the design is the most noticeable benefit of FitLife Total Face CPAP Mask, we also have to praise how effective the pressure distribution is on the outside of the mask. If you struggle with sensitive skin, the pressure distribution will help you to prevent potential sores or skin breakdowns. Comfort is key! This mask is usable by anyone who struggles with sleep apnea and wants a simple and comfortable way to treat it. Full Face ComfortFit Deluxe CPAP Mask works to swing the focus away from exclusively treating sleep apnea to treating sleep apnea while also making sure that the user can sleep at night. How is this done? Full Face ComfortFit Deluxe CPAP Mask is built out of soft silicone at the contact points of your face and it also utilizes something known as a frame stabilizer. Making sure that the mask and your face interact agreeably is important – and it is even more important that they hold their seel. With the way that Full Face ComfortFit Deluxe CPAP Mask is designed, the silicone contact allows for pressure to be evenly distributed throughout the mask. When pressure goes where it should, your entire mask functions better. 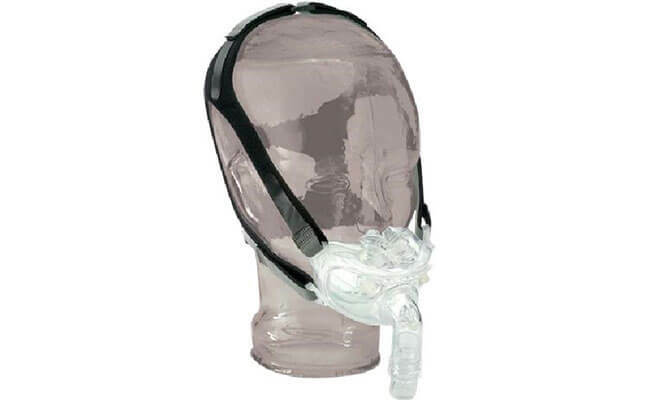 The headgear of Full Face ComfortFit Deluxe CPAP Mask is made of something called breath-o-prene, which highlights comfort and the lack of a giant forehead pad. With this mask, you will have the flexibility to move around, read, and watch TV while wearing your mask. Finally, the moisture wicking design of the mask makes sure that you don’t sweat through the product every night. This isn’t a perfect full face CPAP mask, but it makes our list of the best CPAP masks for a reason. The final product on our list of the best CPAP masks is Drive ComfortFit Deluxe Full Face CPAP Mask. This mask is another addition to the list of full face CPAP masks that are designed to give you both flexibility and comfort throughout the night. This mask is designed like some of our earlier options, but there are a few key differences. The first thing you’ll notice about Drive ComfortFit Deluxe Full Face CPAP Mask is the fact that it is relatively small for a full face CPAP mask. The mask covers the triangular area from nose to chin, but it does so without impairing the rest of your face or clogging up your field of vision. The headgear allows you to fit the mask into place and keep it there as you settle in for the night. The lack of clunk forehead pads or wider viewing inserts means that you won’t have anything to disrupt your line of sight. As we look for CPAP masks, we always focus on quality materials and comfortable design. When both standards are met or exceeded, then you end up with a mask that does its job better than other products. We appreciate what Drive ComfortFit Deluxe Full Face CPAP Mask does and feel like it is one of the better, more economically designed full face CPAP masks currently available for sale. The low price point will allow many people to add this mask to their inventory while the lack of dead space and the premium materials will allow them to use it for a long time.